Gorkana provides media intelligence and insight to help you stay connected and manage your brands reputation, delivering campaigns, analyze impact and managing buisness value. Gorkana is a nearly comprehensive database of publication and reporter information. For the most part, Gorkana provides pretty accurate reporter contact information for journalists from all parts of the globe and publications from all sizes. You can find info on there for everyone from a small, self-run blog to the Wall Street Journal. The reporter pages, when accurate and complete, are extremely useful with contact details, notes on the topics they cover, as well as provides links to their social media channels. Gorkana is not always the best at staying up to date on movements in the media. It'll take a few weeks for them to update the database if a reporter has moved to a different publication or beat. In general, I find myself having to double check the reporters listed beat as it's been right probably about 75% of the time in my experience. I haven't used other platforms to compare the features, but many similar products offer demos which I would recommend taking advantage of. As a PR professional, my main priority is developing and maintaining relationships with journalists and influencers. Gorkana helps me identify key journalists and provides the information I need to reach out. 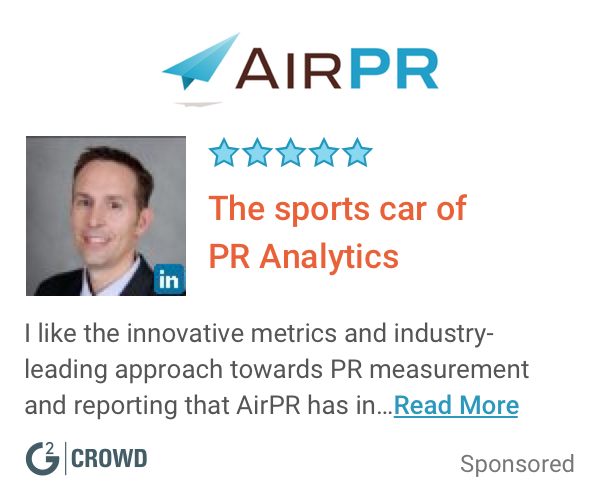 "Best database found so far"
What PR Analytics solution do you use? really enjoy the ability to create media monitoring lists for different topics, allows us to filter through what we need or don't need for a particular issue or topic. Makes it easy to identify and connect with journalists in our targeted spheres. wish the interface was a little more sophisticated; it looks like like the 90's. Get your whole team involved in the implementation stage. The process is much smoother if you have a strategic approach to the organization's media priority topics and goals. Really research those identified in your media lists once you customize them to narrow your general topic into a niche field. Some reporters are more apt to pick up stories only in a small segment of a larger topic, and targeting them generally instead of with something that will really interest them, you'll lose the chance to build that relationship. Double check journalist affiliations on gorkana with the publications website; sometimes changes in employment aren't updated right away. Attempting to demonstrate the value of PR and media outreach efforts beyond just press hits. Allows us to define statistics on topics and generate new ideas for how to stay on trend and get our message out there. I love Gorkana and how up to date, accurate and useful the media contact information is. I use Gorkana regularly when building media lists and sourcing media contacts. The Gorkana rapid response service could be faster. I also think that the search function could use improvement. Use the Rapid Response service if a reporter contact information is not listed. I use Gorkana for media relations, outreach and engagement. It is very useful when sourcing reporters' contact information. "My point of view about Gorkana"
I like the user interface and the search functions capacities which have been helpful to me. I like the news that they send around through email, and the data they give about each contact. Is easy to use and very helpful. I find that they don't have a solid database with updated contacts, I found a lot of existing contacts which are outdated. I suggest you Gorkana. It's something else, a different database..
We are utilizing the administration function as our primary media. The administrations enables numerous clients from our organization to sign on and the clients are each allocated with their own username. With Gorkana we can save money and time. "A potential mastermind in the PR world"
Gorkana was a great alternative to Cision due to the red button and updated information. We used it to update and maintain media lists as well as reporter moves. "Very Good product, could always be better"
I mostly use Gorkana for list building and finding specific contact information at media outlets. I find the database to be much more updated than that of Cision or similar products. Also, the rapid response team is great in assisting you when a contact is incorrect or not found. As with any database, it could always be more closely monitored for people leaving different news outlets and joining others. Definitely a solid product with a lot to offer. Would recommend as your main list building software. Gorkana is great to build a list based on specific criteria on journalists or types of news outlet. Laos, to find someones email or phone number quick, the search function is great! I like that I am able to search for journalist and usually am able to add them to a press list fairly quickly. I do like that I can contact anyone to help me add a journalist or a publication to the database easily. It's an easy to use database and it typically has a lot of journalists names and publications in there. I do not like that you cannot search for a journalist by state or city. It makes it very difficult for planning purposes if you are planning a media tour in a different city or need to find journalists in a specific city for a city-focused initiative. The customer service people at Gorkana are also pretty rude. I have emailed them in the past, and while they get back to me quickly, they don't read my email or give me an answer back that is pretty obvious and not the answer I am looking for. The database is also lacking. I feel like the people that work at Gorkana are not proactively looking to update the journalists profiles or find new journalists or publications. This is frustrating and when I have to email them 5 times about new journalists, it's like I am doing their job for their. Oh yeah and I am paying them to do this. It's very annoying. It's a great product, and easy to use, but I wouldn't rely on it solely to create an accurate media list. It needs work in the sense of finding new journalists and publications and realizing that the space is changing and they need to adapt. I am able to search for journalists in a large pool that cover the beat or sector I am looking for. The benefits is that it is quick, however, it's not always accurate. I have to cross reference the database with Google/LinkedIn profiles often because Gorkana is wrong a lot of the time. This is THE BEST media monitoring system. The contacts in the media data base were always up to date. It was easy to find new contacts at new publications and in new industries and geographies. Working at a PR agency, it was essential that I could trust my media monitoring system for accuracy on reporters and publications. It was also great for distributing press releases. I have used Cision, MeltWater, and a few others, but Gorkana is by far the best. My current company doesn't use it unfortunately, and I really miss it. Gorkana was a little complicated to learn how to use. It is a very complex system, but once you learn how to use it, it's fantastic! It is also one of the pricier platforms, but it is 100% worth it in my opinion. It saved me so much time. DO it! If you need to stay up-to-date on media publications and reporters, you need Gorkana. Also great for press release distribution, tracking email communications and monitoring success through analytics. I was able to quickly and easily search for new media contacts and publications for pitching my clients. I was able to categorize media contacts any way I wanted, and also manage all email communications with them within the platform. It saved our company A LOT of time and money. The analytics capability was also super important in showcasing our PR efforts and our value to our diverse customer base. "Gorkana was an easy to use tool that helped in the PR industry"
I liked how it was very easy to look up information about sources from any outlet imaginable. I was able to type in a name and see where they work and all of their contact information. I don't like how some people chose to not give their contact info. there is no point of the tool if I am unable to see how to contact those individuals. I would recommend to use this source whenever it is necessary to cold call or email newspapers. This database allows you to find the perfect contact for whatever your need is. I made huge spreadsheets of people who work at certain papers etc. and would copy all of their email addressed when sending out press reports. the tool makes research incredibly easy and enjoyable. In order to properly send out press releases and information to relevant newspapers, magazines and news outlets, it is important to search which individuals would be interested in receiving this information using Gorkana. It can help PR pros connect with media and also learn what specifically the editors may be looking for in future story considerations. Delays in dashboard information updates that can hold up reporting or measurement needs. The dashboard and analytics are actually a tool that can be put to smart use. It helps to put PR pros in touch with members of the media as well as deliver a unique dashboard to help measure PR outcome. The ability for measurement is inexact but there are solutions here that can be incorporated into reporting. "My love/hate relationship with Gorkana"
I think the user interface and "quick search" functions have been useful to me. I appreciate the media updates that they send around via email, as well as the information they provide about each contact. They tend to provide much more in depth information about what journalists cover compared to their competitors. I find that they don't tend to have a lot of contacts listed per outlet, and often the contacts are quite out of date. I find the search functions a bit cumbersome and not often specific enough. Their search bar can also be tricky - it won't often identify key outlets unless typed in a very specific way. I think they need to improve the search functionality, specifically as it relates to how searches are done geographically. Gorkana also rarely features audience data/reach of outlets. If you are trying to save money and have multiple users that need log in at one time, I recommend Gorkana. Otherwise, other databases are much more robust. We are using the service as our main media and influencer database. The services allows multiple users from our company to log on at the same time, unlike some of the competitors. Users are also each assigned their own username. "One of the best programs you can have!" This program has the most updated contact information and even go so far as to note when a person has left the industry of expertise. Great tool for any company! I think it would be much more beneficial if while searching, you could see how many outlets or contacts you've selected, as it can be a little confusing when you finish your search and don't know if the selected contacts will be present in your exported file. I think it should additionally be noted aside from when someone leaves an industry, to also note whether or not they wish to continue contact. If they have left to another outlet, it should then list relevant options as to whom should be contacted from said outlet. When it comes to building the lists required for clients or tracking down the right reporters to pitch a client's story to, this program is by far the best program there is. It allows research on any given organization and whom to speak with to be as simple as possible. I love this tool! "Gorkana helps me keep an eye who's who in media world." Gorkana is an up-to-date resource to follow who's changing jobs or beats. It offers a look a who to pitch and where jobs may be open. It's great to be able to get direct email or social media contacts for possible sources or writing outlets. The content is fine. Could you bump up the size of type to make it easier to read? Gorkana is an all-in-one resource that saves time and the need to follow multiple sources. I like Gorkana because it is somewhat user friendly and easy to navigate. I have heard it is better than Cision but I don't have experience with Cision so I can't say. It's extremely outdated and missing a lot of information. I do not feel like it is reliable when it comes to building lists. I don't like finding out of date email addresses or people who have switched outlets yet remain on their old list. I find it slow and it is also frustrating that it only holds a certain amount of seats. I use it as a start to build a list but always go back and double check because it is not always reliable. The mapping feature is also not very helpful. Streamlines research. Makes list building a lot faster. Gorkana has a large database of media/blogger/broadcast topics and it's easy to get contact details and baseline information in seconds. The Gorkana Rapid Response team is one of the best services alongside the product - if they don't have someone in the database, you just ask them and the team will do their best to gather contact info. There's also more sophisticated/advanced searches you can do to compile target lists by geo, topic, outlet type, beat, etc. Even with Gorkana's data, I still find it's necessary to do manual research to confirm details and vet targets. Also, as with any service of this kind, it's not always 100% up-to-date as media tend to jump beats and/or publications frequently. Getting contact info/research media targets quickly. "Find out what your client base thinks of you with Gorkana"
The information that is given here is so easy to interpret and work with. Before Gorkana, we were just selling a few items here and there, now we are rolling in cash. "A helpful and user-friendly database I use for media list building." It's easy to use overall and pretty intuitive. Searching and building lists is simple overall. I often find that contacts I'm looking for are not in the database, or the information is out of date. Also, when I search for a common name of a reporter or for some outlets, the first results that come up are UK contacts if there are reporters or outlets with the same names in the UK. It seems that my colleagues who build media lists using Gorkana more often than I do are often providing the updated and accurate contact information to the Gorkana team, or having to make requests for reporters/outlets to be added. While the Rapid Response team is typically very responsive and tries to be helpful, these kinds of delays in getting the information we need can negatively impact our client service and overall results at times. Media relations outreach often requires a very quick turnaround so it's important for us to have the needed contact information handy when outreach needs to be done. It's better than some of the others out there, but you may be disappointed if you enjoy Cision. We are building media lists and seeking contact info for media outlets and reporters, and we've been able to do this through Gorkana. "Some advantages, but overall difficult"
I really like how responsive they are with the Rapid Response function. They'll update journalists and outlets as needed, including finding UVMs/circulation figures. It's nice to have another person to help you out when you need something. Also, the national media/NYC based media is pretty well built out, and is updated somewhat regularly. The local database - even in places like LA, can be very outdated. Journalists, entire outlets, circulation/UVM figures and freelance writers are often missing. Many times freelance journalists have phone numbers associated with them that are just to the main desk, and thus not useful if they do not work out of the office. Many people have addresses that default to their main publication, when in fact they're based in another office, work remotely, etc. With this in mind, you have to be very careful if you're sending anything by mail, and are likely to have the package returned in many cases. The search function is difficult to learn as well. It used to not let you export blogger emails, but fortunately that has been fixed. Another tricky thing about Gorkana is that it will not let you export circulation in many cases and doesn't let you search by DMA. Weigh the benefits vs. the drawbacks. We use Gorkana to build media lists and locate contact information for editorial contacts. "Gorkana - great for media insight "
Their media database was the best I've seen. No database is perfect but they have a team of people working on updating the contacts as they move and change from one company to another. They also offered me a bespoke payment plan which was nice. They didn't offer a trial which was a shame. Luckily I had many colleagues in the UK that had been customers for a long time which made the decision easier for me. Keep in mind these guys are great for the UK market. I'm not sure how well they do internationally. Finding relevant contacts n the media to connect with, Gorkana procides me with 80,000 journalists and 23,000 media outlets for me to use to get my message out there. Easy to use to pull impression numbers for top publications - specifically referencing Cision Point. The user interface is terribly outdated. If you don't type the title of the outlet in exactly like it is entered into the platform it will say there are no results. I know that this platform is moving away from Cision Point and into something more user friendly which is nice. I think education is key so set up time with your Cision rep to understand the features of this new interface. Using this to establish UVMs for top-publications that either our brands or our competitors were mentioned in. "Pretty good, with the possibilities to be great"
Rapid Response feature and the constant updating. Anytime I have an update from the office Media Lists I send to Gorkana and they update it, and vice versa, through the Gorkana daily alerts. It is extremely helpful in the quickly-changing media landscape, especially for seemingly-obscure trade publications. I also like the regional mapping function. It is helpful to gather small papers in suburbs of cities that I am not familiar with. I dislike that it is after you input a journalist search into the "Quick Toolbar" that it will tell you, sorry, there are no more seats left. I wish the system would open up with this box, rather than waiting for me to search the reporter. It saves only a few seconds, but time is quite precious. I love the rapid response feature, though I am concerned not enough users know about it and/or use it. Gorkana should promote this feature to all of its users so that each user is inputting his/her valuable information. Media contacts, coverage, outlet information, etc. Very detailed, I like seeing the journalist's detailed description of their beat. Makes it alot easier than to go through all their stories. The website is trustworthy in terms of giving updated information unlike Cision where it can be dated. I know because I cross reference the two often. The database seats. I hate having to wait for someone else to get off so I can get on. I just like that Gorkana has most of the information I'm looking for. Circulation numbers, emails, beat descriptions, smaller papers that can take longer to find contact info for, and most importantly that its always up to date. I've used other software, and nothing compares to Gorkana when it comes to finding a journalist. The only improvement I'd suggest is to allow users to search based on beat generally instead of just within a publication. Demo the software and I think you'll see that it's better than most other platforms. I work in PR and so it's critical that we're able to track down the most up-to-date reporter contact information. Gorkana helps us do that. I appreciate how the contacts' information is updated frequently and lets you know when they have left a certain publication. I dislike that my company only has 2 account slots so that we constantly have to wait to be able to kick each other off! Is there another type of system where companies are able to get more use at once besides buying more accounts? I also dislike how when doing media searches with keywords, etc. you are not able to target a certain media market or city easily and it defaults to just the United States. I do not usually find very effective searches when using the keyword search. I also dislike that I am unable to see certain international publications and reporters through Gorkana. Is this an extra charge? Finding the best contacts to pitch for events and stories. Finding contact information for reporters and editors and learning more about different news publications. I have solved business problems such as finding contact information that my clients and other colleagues have been unable to find through search and other media databases. I always encourage others to use Gorkana rather than other services because I think it keeps things most up to date and has the most information. "Great tool for planning media outreach "
Gorkana is easy to use and includes a wide range of media contacts, making planning for media outreach simple and effective. If you need easy and quick access to outlet staffing and media contact information, Gorkana is a great option. The software is very simple to use and includes nearly everything a PR professional needs to execute outreach in a timely manner. The software is slower to report changes in staffing, etc., however. With Gorkana, my team and I are able to target the correct media contacts to ultimately secure coverage and meet PR goals for client launches and campaigns. Gorkana allows media to include beat details and background to better filter which contact is the best fit for certain announcements. "Essential service for PR teams that can afford it"
The media database in Gorkana is the most extensive, relaible and easy to manage on the market. This combined with the ability to distribute press release to pre-made journalist lists and check who has opened your press release is a hugely valuable tool. The combined monitoring and journalist database is expensive. Also the media monitoring service can often miss broadcast mentions. I can always find the right people to pitch to thanks to the database. It's always up to date and accurate so I am always confident I'm getting the best information possible. There's really nothing I dislike! I've really never had any issues with Gorkana, it's always worked well for me. I've really benefitted from using the software to find journalists. It's fast and accurate and gets me the results I need. "Good search filters but outdated"
outdated positions, outdated maternity leave notices, inaccurate job history for certain contacts. Solving the issue of tracking down journalists that cover specific topics for press screenings of films. Helpful that all contact info can be stored online and referred to rather than downloading. Very easy system to use when looking for speakers at brands. Easy to fill in information and sumbit. Not much actually the system is simple to use and you can see the details of your post as well. I was looking for speakers for an event and I posted the request which was shared with subscribers which generated some good responses. I like that Gorkana has many different contacts that I may not be able to find on other databases. I also really like the ability to search a specific area on the map. I like that Gorkana keeps journalists in their database, but marks them as inactive so I know immediately that they are no longer in journalism. I dislike that i have to type in a person's name for the smart search function to work. I can't just copy and paste. I make media lists with Gorkana. "Easy to use but sometimes not reliable "
Very useful tool. A little expensive for international data unless you can really justify the requirement. Any gaps in media lists e.g. when publications have ceased or the updating the latest contacts. Also the new lists feature on forward features is useful. "Easily Digestible Job Opps to My Inbox"
I glance at the Gorkana lists quickly to see if anything catches my eye, and it makes it easy to do that. Since I'm not really looking, this is what serves me best without being overbearing. Font could be bigger, it's not the prettiest. It mostly works as a simple and efficient tool for job searches and listings. The reporter search function is very helpful. Some of the reporter information is outdated. It would also be more helpful to search by beat. Through Gorkana we are able to tailor our press lists to specific industries and ensure the right people are receiving our firm updates. The highly accurate media database. Never had to worry about a journalist not being at that outlet. I use to spend hours researching each individual outlet, but Gorkana makes that unnecessary. Nothing, I find the produyct easy to use and let me do exactly what I need. I use it mainly for list building and it always helps there. When building targeted media list Gorkana cuts down on time researching each individual outlets to find the right journalist to reach out to. This helps my pitches become better received and generates more press for my clients. "Incredibly Pertinent to the Success of Finding Journalists and Editors"
I thoroughly enjoy using Gorkana, it allows me to quickly find which journalists and editors I need for my campaigns. I feel as though the search functionality is great but can be improved. The bios need to be expanded to make sure that all beats are covered. It allows the firm to look up editors and journalists for our PR campaigns. "Great media monitoring and media database service"
There's lots of benefits to having Gorkana. It provides a really good coverage monitoring service, and is very competitively price. The media database is constantly updated, meaning the correct journalist details are always listed. It also includes a forward feature search tool which is ideal for any communications agency. The database download system is really beneficial (once you've created a list), however issuing a release through Gorkana can be slightly difficult. That's no real issue though and overall the service is great. "Helpful for starting direct communication "
I like the helpful service and quick updates. There are a lot of issues with accuracy, which have shown through when we did a media mailer and tons of them came back undeliverable. That did not look good to the client considering part of the markup they pay is for services like this. There are frequently not individual journalist numbers listed, no newsdesk numbers (this is very simple, and should be the baseline for every TV station in the country) and one time I even had a journalist listed with her cell number (which it didn't denote it was a cell number) and she had actually moved publications. It was quite embarrassing, and not denoting when a number is mobile could really get some PR people in hot water. You can't run a PR agency without a media database. The only benefit of this over others, is that your customer service makes update. Vocus and Cision had much better accuracy, so I'm hopeful this merger will solve those issues soon. Gorkana is so easy to use and I love the newsletter that keeps me up to date on all the moves and changes in the media industry. Some of the contact information for media can be outdated. I'd love for Gorkana to continue to be ahead of the curve so I can be efficient in pitching journalists. Driving more awareness for brands and increasing WOM. I've realized that if you don't have the right info, the info can't go anywhere. That's where Gorkana comes in as a solution. it seems to have a few advantages over Cision--auto saving, more flexibility in number of people who can access at once and the auto-complete feature in the search bar. The ultimate PR database would have a google-like search function. Also the "criteria search" (search by city, beat, language, etc.) seems to always return suspiciously few results. has some advantages over cision. is FAR BETTER than not having a solution for finding contact info. needing to find contact info quickly and build lists. it is helpful for that. 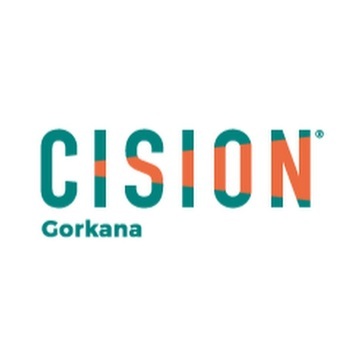 I like that Gorkana is generally more up to date than Cision and often is much easier to develop media lists and identify correct media targets. I also think it has a much more advanced measurement capability and engaging with its surveys. I think a huge frustration for media database services are that contacts may not be up to date or that they don't reflect the media outlets employee lists. While I find Gorkana to be more effective at combatting this then Cision, I think it still needs some work. I use this service for media monitoring and media list development. Infrequently, I use the service for metric reports. "Substantial Insight on Key Media"
The insight Gorkana provides on the comings and goings of key media is crucial in the PR industry. We have to stay abreast of these updates and leverage relationships, or build new ones. Gorkana enables us to do so at a moment's notice. More photos in the email alert - It would help to see journalists' headshots. We are solving the problem of "where did X reporter go?" We want to establish personable relationships with reporters, and knowing when they change jobs is critical. "Gorkana gives us updates and keeps us alerted to trending topics our audience expects from us." We are one of the outlets for Gorkana clients. It's a terrific research tool for us to serve our clients content marketing needs. Sometimes it seems lide too much irrelevant info to sort through for our specific needs, but that's a spurt kind of thing with news. Not your doing. We use the service to keep up with different interest groups related to our content marketing service. "Pretty good, better than Vocus"
If you don't have info on a reporter, you can ping Gorkana's Rapid Response Team to look into it for you. They aren't always able to come up with the reporter's contact info, but a lot of times they can. I also like that each reporter profile links to the writer's Twitter and LinkedIn pages (if they have them). Daily Gorkana Alerts are great to keep you in the loop on reporter moves and publication hires/layoffs. Improved media relations. Saves time in media database search process. "Great most of the time, not always up to date"
Definitely user friendly most of the time, I'm still figuring out some of the kinks and how it works but I've only been using it for a couple of months at this point. Keeps me in touch with reporters and gives me their contact information. I've made contacts this way. I like the simple database set up. It is easy to navigate. I don't like how limited certain accounts are. I can't find all contacts, and sometimes it's not completely up to date. I can't build list directly in the site which would be a helpful tool for referencing back to. Make sure to research if editors/writers are still at the listed company. I am able to find the right contacts to communicate with and ask questions. I enjoy the ability to search by sector and the pre-build media lists. That you can't narrow down by city specific publications. The program is fairly easy to use and is very helpful if you're looking to pull a large database. There's still a lot of journalists missing and it doesn't feel like profiles are up to date. Also, the circulation and UVM numbers are way off from that of Cision and Compete. It's easy to quickly search and outlet or person. You don't have to switch the category every time you do a search. "Extremely easy to use and intuitive"
Easy to see what is driving traffic and working effectively and what is not. I have no dislikes for this product, it's very beneficial and easy to use. * We monitor all Gorkana reviews to prevent fraudulent reviews and keep review quality high. We do not post reviews by company employees or direct competitors. Validated reviews require the user to submit a screenshot of the product containing their user ID, in order to verify a user is an actual user of the product. Hi there! Are you looking to implement a solution like Gorkana?